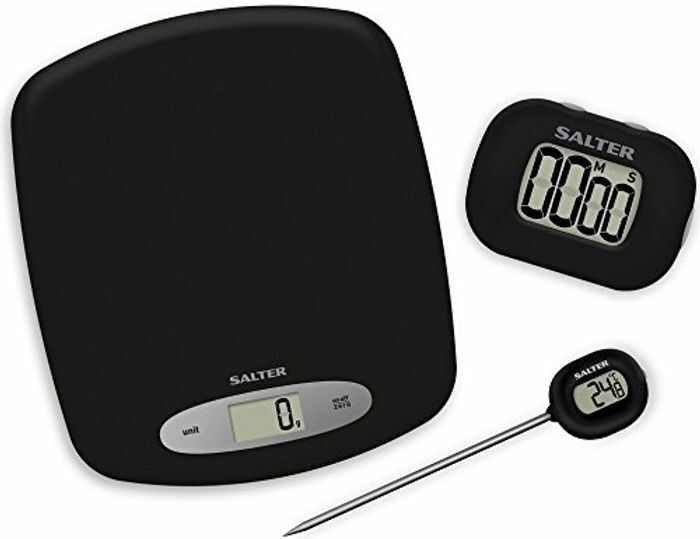 Gift set includes scales, timer and thermometer - everything you need to start baking! Electronic Curved Scale (5kg) features add and weigh and aquatronic functions. All featuring “easy to read” LCD displays"